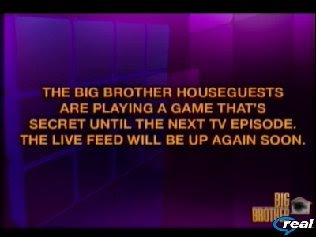 Feeds have been on trivia for the past hour or so as they're in the midst of battling to stay out of Chima's favorite room. Who do you want to see on slop? I think the Athletes would be the funnest to watch on slop because they have been so cocky. Populars would be the worst - don't really care to see Laura and Jordan miserable at the moment - its already gonna be a long week for them. I agree with IndyMike! I HOPE it's the athletes! They need to be brought down a peg! Poor Jeff will be lumped in with the them though!!! I have been telling my wife all day I want to see athletes in the have not room. Take them down about 5 pegs. I wanna see Russell and Jessie give each other Blumpkins. Make the athletes suffer. Don't worry about Jeff, he's got Jordan. I just want to see the fireworks from the nominations. STILL trivia after 4 hours. Does this mean that noms happened as well? Like everyone I want the Athletes to suffer, Let Jessie go with out eating every 30 min. and the three sleep in the have not room. Sorry for Jeff :(. But they need to be taken down a peg or two.